Along his namesake trail on banks of Lynn Creek comes story of Group of 7 bohemian painter Frederick Varley’s 10 wild years in Vancouver teaching and founding art schools, developing new aesthetics and shacking up in an $8 mountain home with mistress. Sometime around 2004, i went to a pal’s wedding in Connecticut – knowing i would see some old pals from Utah, unseen for many years, i assembled a run of (whopping) 4 copies of (an obviously handcrafted/bound) chapbook. This little tome called “Shoebox” contained stories written while living in Utah alongside some of these lads in hopes of sparking memories and giving a little something of myself in thanks for their inspiration and friendship. Cover photo is a thistle growing inexplicably from the red rocks of the Grand Canyon’s north rim on a wander i did with the groom of the aforementioned wedding. As it goes, i never heard anything about the booklet, and forgot about the project until again Utah (autumn 2018) and buddy Dane’s copy surfaced during a move. I dutifully snapped a few lousy pictures for documentary evidence of creation. The stories were written mostly in the “sudden fiction” style i’d experimented with after encouragement from James Thomas and Francois Camoin. From SXSW 2008 – amidst sirens and Austin, Texas 6th St. street noise – comes an interview with filmmaker Erich Weiss premièring “Hori Smoku, Sailor Jerry” about the originator of contemporary tattoo-ing – and iconoclastic libertarian American – Norman Collins who combined Japanese technique, Polynesian traditions, and American motifs in Hawaii during WW2. The interview delves into the the “screwed, boozed (blued), and tattooed” wild culture as a million sailors and soldiers descended upon the idyllic islands (especially Hotel Street), plus Mr. Collins’ complex life, the artistic lineage of Sailor Jerry, rivalries and legacies of various tattoo artists/legends, mentorships of Don Ed Hardy and others, and the remarks about “fad” tattooing and (lack of) regret. 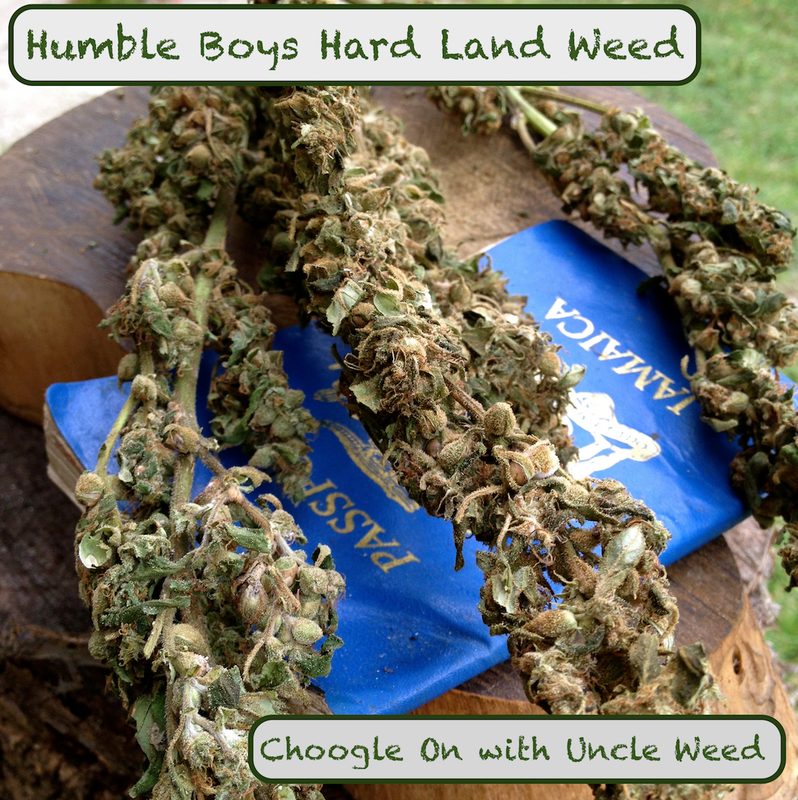 High in Jamaica, Uncle Weed visits Black Ras’ abundant mountain growfield to discuss “swamp weed” grown in morass versus “hard land weed” grown in volcanic soil with bat guano, plus varieties of ganja strains – both domestic and imported. Plus background about his family teaching him the ways of growing most anything and living an Ital lifestyle. A dear friend’s teenage daughter was heading out on her first foreign adventure–as such, i passed along a few thoughts. Sharing as perhaps others will find helpful. It’s Dave here – and while I don’t have knowledge of all things, I do have a lot of knowledge about traveling… Not about fancy hotels and airline miles and gourmet restaurants but instead, grassroots travel where you immerse yourself in the culture and never really quite return home because much of your heart remains behind. Now I don’t know all the details but I understand you’re going to a rather “developing” (hate this term but…) with a school group to do a humanitarian project – all that is awesome and, since I’m here, I’ll share a few random tips for you to consider while you ramble. First off, all that stuff about packing light is very, very important. Consider your clothes a “uniform” and trust me, no one cares what outfits you wearing plus, one of the funnest things to do is buying clothes local and then you come home with a neat outfit. I take clothes which are quick drying, dark colors, and well-worn in so I don’t mind giving them away when I leave. Document extensively but use cameras judiciously. What I mean by this is that photos are often the worst way to connect with the people (there are exceptions like instamatics), as it put something between you and them, and that something is also an expensive piece of technology. Now photos are so important and I’m so grateful for the few foggy images I have from my first travel spots, my rule was to buy one or two disposable cameras, peel off the outer wrappers so is just a plastic black box and then I am limited by those 24 or 48 exposures so each shot had to be very important. Sure lots of them turned out really lousy but the intention was a lot of fun. Now I travel with a sardine can film camera which produces hazy water-colored memories which sort of seemed like how memories fade. Instead, I love to make notebooks, fill up journals, scrapbooks with all my travel artifacts (ticket stubs, postcards, brochures, signatures, sketches, maps,…) These give you an interactive talking point with folks as you meet them and, of course travel with a pencil bag so folks can sign and add their thoughts to the big jumbo book, plus flip through and see other artifacts of me and my journey. I even throw in a few family photos and stuff like that before I leave to show new friends (as well as stave off the possible homesickness). This one may sound weird but stay with me: I (usually) have a rule in which once I decide where to go, I learn nothing about the country. This seems super counter-intuitive but, because traveling is so easy now (my first trip to Europe at 21 was before cell phones, Internet, ATMs, common currency etc. ugh) so to keep that “degree of difficulty” up to snuff, I go in naïve so I can feel like an early explorer, there before the masses. Now I realize that doesn’t fit exactly with the logistics of your trip but the thought of going with a clear mind and minimal expectations opens up so many opportunities. Think of the place as white paper or canvas waiting for your contributions rather than pre-coloured with the drivel of guide books and instagram stories. Great examples is: “the most famous tourist site in every country” in which you can line up for hours to see something which you could go to another town and see something less crowded, perhaps not quite as magnificent, but almost wholly to yourself. In other words, find your version of what’s awesome and discover the story(s) for yourself. Trust going to places you’ve never heard of or never expected, and you’ll find bits of magic which you can feel like you were the first person to document. OK, health stuff… Like you, I’ve struggled with terrible migraines on and off throughout my life and now I’m dealing with a bunch of other crappy illnessess (fibromyalgia, CFS/ME etc). So, when I travel, I always have my little “safety kit” of killer soft eye mask, best earplugs, lavender oil, sticky heating patches from Japan for my shoulders and back, various oinments and magic to deal with onset of crazy pain. Like your situation I suspect, once it hits, you are done and need to shut down until you sort it out. So make sure you have your emergency escape kit and don’t be afraid to take an extra day in a quiet room when you need it. You are young, South America is just getting going (keep in mind it was a collection of “banana republic” – another lousy term, sorry – dictatorships for most of my life) so you can return again (and maybe again). The important point is to come home inspired and not battered. Besides my beloved scrapbooks (if you want links to view photos of them just let me know) I also often take an audio recorder and love to record ambient noises of markets and streets and crowds or music or buskers and when I’m home and feeling blue, I put on my headphones and the audio drift you back better than any photo ever could (usually). Also, with my travel artifacts besides scrapbooks I also make big “static montages” meaning a kind of wall-hanging collages with all my bits and pieces floating and stuck on, sometimes with some paint, and a bit of narrative on top. Anyhow I could go on and on but mostly I’m just super excited to see you heading out on an adventure. Your Mom tells me so much about you and while I met you was a baby, I look forward to seeing you as an adult one day soon. This article appeared in Utah Adventure Journal and shares narrative history from my pal and backlands mentor Ron Lindley, who taught me and others about how to organize races, events, rides, and participate in a scene. Also Martin Stenger who was the fastest rider and hardest toker and fcking coolest guy around, Cindy who was a badass lady on a Klein and Charlie who ran a ski/bike shop in Park City. All these folks were important influence on a 17 year old renegade. I added some comments and may yet do a follow up piece but, in the meanwhile, here’s a chunk from Ron, Martin and some snaps of Utah Mountain Biking and Hot Springs circa 1987-9. The Scene: An Oral History of the early days of Mountain Biking and Racing in Utah…. After purchasing my first mountain bike back in 1985, I immediately started dreaming about racing. Not having any bike racing experience, I had grandiose delusions about how I would just get out there and set the World on fire. I started asking around about mountain bike race opportunities but there were virtually none at that time. One exception was a thing called “Bike and Tie” that I believe was produced by someone out of Park City. They had one scheduled for the Provo area in the summer of 1986, but it fell on the same weekend that I was immersed in studying for Physics and a Chemistry final and decided to give the competition a break by postponing my racing debut. Later that summer, I found out about a mountain bike race that was scheduled for the Wasatch Mountain State Park in Midway and attended it with my riding buddy Brad Sorenson. Brad was literally the only other person I knew who owned a “mountain bike” at the time. I figured out early on during this race that I was not only a beginner at the sport, but that there were a whole bunch of really fast guys who were well equipped to leave me way, way back in the dust. I finished second-to-last in that first race (much thanks to my buddy Brad). Even with that first dismal finish, I was hooked. I was also determined to get to a level where I could compete with all those aforementioned “fast guys”. My path to glory was made much easier the following summer as some really awesome people decided to promote some really awesome mountain bike races: most notably Tim Metos, Bruce Ewert, Charlie Sturgis and Brock (Hansen?). Tim started running the local Salt Lake City classic “Wild Rose” series, Bruce was responsible for promoting the unbelievably cool “Rustler Run” at Alta and Charlie and Brock put together Utah’s first really big-time mountain bike race Park City’s “Bonanza Bonzai”. These events really represent the starting point for the “golden years” of mountain bike racing in Utah. Since I was a Utah County native, I naturally felt like there should be at least one race somewhere in the Utah Valley area that could draw the best Utah racers that these other events did. Working with Brad, I started looking for a good place to conduct a race. After lots of searching we found the perfect spot: a Boy Scout camp in Payson Canyon. Hence the “Bike-o-Rama” was born in 1988. This Bike-o-Rama enjoyed a 4-year run and was a real turning point for mountain bike racing in Utah. After a so-so first year, the race just exploded in its second year and with that success a new partnership was formed. This partnership was between me and an opportunistic mountain bike enthusiast named Bob Walker. Bob’s vision was to develop and series of races in Utah that would rival the old C.O.R.P.s Series in Colorado. He got me excited about the idea and I joined Bob to help him create the “Utah Fat Tire Festivals” series. This was the first N.O.R.B.A. sanctioned, state-wide mountain bike series (which has eventually evolved into Ed Chauner’s very successful Intermountain Cup series). Bob and I promoted a few races ourselves but also formed a coalition of promoters from Logan to Cedar City to broaden the scope of the series. We even persuaded the Canyon Country Cyclists (mainly Bill and Robin Groff) to promote Moab’s first big time mountain bike race, “Moab Rocks,” and add it to the series. Things eventually fell apart with Bob and myself and Ed stepped in and saved the day…the rest is history. My recollection of the “golden years” of mountain bike racing would not be complete without mentioning a few names of some really special racers who earned my respect and admiration for there incredible talent and strength. The top of the list would have to include the following: Martin Stenger, Glenn Adams, Mark Smedley and Jeff Murray. These four guys were the first super stars of Utah mountain bike racing. Other truly notable racers included Rich Perrier, Cyndi Schwandt, Todd Henneman, Tom Noaker, Scott Lung and Jeff Osguthorpe. I’m thinking of many others but they’re too numerous to mention here. These were the people who were making the podium not only at local races, but national races back when they involved thousands of athletes. I hope this brief look back sparks some fond recollection for those who were there to witness the proud beginnings Utah’s mountain bike racing heritage. For those who weren’t there but love to race, just take pride in the fact that Utah has hosted some of the best local racing anywhere in the World, and it still does today! Team White Salamander representing featuring Ron Legend Lindley, Gabe Alps W. and a young hippie named Weed with cameos by Brad Sorenson and Pyper. In 1974, the University of Georgia school of law hosted “Law Day.” Distinguished journalist/writer Hunter S. Thompson shares his perspective of President Jimmy Carter. The speech that Carter gave not only defended MLK, but also reached a much deeper level of thought among the attendees, including Thompson. The other source of my understanding about what’s right and wrong in this society is from a friend of mine, a poet named Bob Dylan. After listening to his records about “The Ballad of Hattie Carol” and “Like a Rolling Stone” and “The Times, They Are a-Changing,” I’ve learned to appreciate the dynamism of change in a modern society. I grew up as a landowner’s son. But I don’t think I ever realized the proper interrelationship between the landowner and those who worked on a farm until I heard Dylan’s record, “I Ain’t Gonna Work on Maggie’s Farm No More.” So I come here speaking to you today about your subject with a base for my information founded on Reinhold Niebuhr and Bob Dylan.